Welcome to the Book Club page. Here you can see our book selection of the month and all the details about participation. Purchasing through the links below helps to support this site and is much appreciated! "In the year 2018, it seems as if women’s anger has suddenly erupted into the public conversation. But long before Pantsuit Nation, before the Women’s March, and before the #MeToo movement, women’s anger was not only politically catalytic—but politically problematic. The story of female fury and its cultural significance demonstrates the long history of bitter resentment that has enshrouded women’s slow rise to political power in America, as well as the ways that anger is received when it comes from women as opposed to when it comes from men. The books we're reading in the club are meant to inspire transformation and awakening at the level of our Soul so that we can thrive in the material world. Each month, I choose an easy but powerful book for us to study as a collective. Participating is easy. Step 1: Sign up to register your participation for the month. This will keep you in the loop and make sure you get updates. (You have to be a member of Badass Butterfly Training to do that). Step 2: Get your book! You can order right through the link here on the page, which supports your training here. Step 3: Join the Badass Butterfly Tribe Facebook Group. We’ll be sharing our progress through the reading and exercises in that group. Over the course of the month, we’ll work at our own individual paces, but we have our online Badass Butterfly where we can share our progress for help and collaboration. Step 4: Get to work! Read the book and do the exercises. Share your progress in the Badass Butterfly Tribe. Tell your story, make some friends, and enjoy the camaraderie. Step 5: Join the LIVE discussion (after having signed up for membership.) We’ll meet as a group on the 4th Sunday of every month to discuss the book and the work we’ve done on it. You can access the LIVE meeting with video or by phone. If you cannot attend the LIVE group meeting, don’t worry. It will be recorded and available for you to watch on your own. You can also submit your input and perspectives ahead of time if you want to have them included in the dialogue. NOTE: Remember that you participation in Book Club is optional. The book, the community, the LIVE sessions and the replay are here for you to use AS YOU WANT. To participate in the LIVE discussion, you have to be a member of Badass Butterfky Training, after that you just register for the event to confirm your participation, and you’ll get all the information how to attend the LIVE group meeting. Again, don’t worry if you cannot attend LIVE because you’ll be sent a replay so that you can watch later if you want. Registration will make sure you will always be sent the reading selection for each month. To get the most out of the group, you should join the Badass Butterfly Tribe as we’ll be having discussions and sharing our progress there. Your participation in the book club and Facebook community are the benefits of membership. Come with a willingness to learn and share. Book Club is an important part of Badass Butterfly Training, and you will be automatically enrolled in Book Club with your membership. You do not have to attend any of the meetings or participate in Book Club in any way. BUT it is there for you if you ever want to join the meeting, read the book, or watch the replay at your leisure, it will be at your training page. If you want to join the live session then you must sign up for the live call and you will be emailed the calling information, but remember it is all in your leisure. "What would it be like to free yourself from limitations and soar beyond your boundaries? What can you do each day to discover inner peace and serenity? 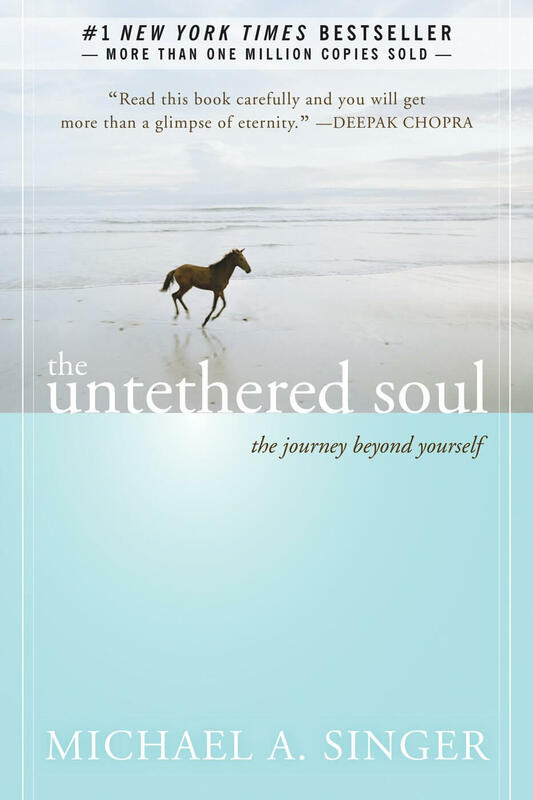 The Untethered Soul - now a New York Times bestseller-offers simple yet profound answers to these questions. Whether this is your first exploration of inner space, or you've devoted your life to the inward journey, this book will transform your relationship with yourself and the world around you. You'll discover what you can do to put an end to the habitual thoughts and emotions that limit your consciousness. The Untethered Soul begins by walking you through your relationship with your thoughts and emotions, helping you uncover the source and fluctuations of your inner energy. It then delves into what you can do to free yourself from the habitual thoughts, emotions, and energy patterns that limit your consciousness. Finally, with perfect clarity, this book opens the door to a life lived in the freedom of your innermost being." - taken from Michael Singer's website.